Here’s a QuickStart for this site: The column on the left lists the industries which I believe comprise publishing today. Below that are some of the influences that are changing publishing, and the impact of those changes. Click on a topic, whether it’s your sector or just a topic that interests you, and you’ll begin your exploration of the future of publishing…. The goal for The Future of Publishing (.com) is to be the most comprehensive source of information on the present and the future direction of all sectors of the publishing industry. I started in bookselling in Toronto when I turned 17, fresh out of high school. I’ve now worked in publishing for nearly forty years. I’ve been analyzing and consulting to the publishing industry full time for over 30 years. My worked divides between different sides of the business, from freelance journalist to book author to magazine consultant to print industry consultant to book publisher and all-around publishing consultant. I love publishing in all its forms. God knows I’ve tried to move on, but I can’t imagine doing anything else. Most of us think of publishing in a very traditional way. 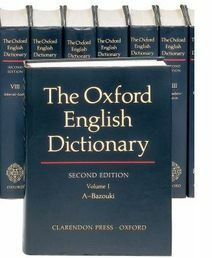 The Oxford English Dictionary (you don’t get much more traditional than that) first defines publishing as “the action or business of issuing a book or books.” It also recognizes “publish” as a verb, but then goes on to reference various acts of committing words to paper, such as a will, or a declaration of war. Infoplease simply directs us to “see: book publishing”. I’ve always taken a much broader view of publishing, subscribing instead to another Oxford definition: “To make publicly or generally known; to declare or report openly or publicly; to announce; to tell or noise abroad; also, to propagate, disseminate (a creed or system).” As someone who has worked as a book publisher and as a journalist it always struck me that the point of the exercise was not to just write things down, or typeset them, or print them, but to get the word out: to do everything possible to make the information generally known. The same holds true for a web site (whether a commercial site, a blog, or any other) and also for most other creative endeavors. If you fail to bring the work to the attention of the public then you’ve failed as a “publisher” regardless of the quality of the material on the site, or its social or political relevance. An unread book is just a piece of processed dead tree; an unseen web site is just so many bits and bytes, signifying nothing. As mentioned above, most of us grew up thinking of books as the sine qua non of publishing. We also saw newspapers and magazines and journals as publishing activities. We did not acknowledge television, radio, photographs or telephones as publishing. And yet why not? Each of these media contains information. Most contain creative work. All of them seek a wider audience from the creator of the work being broadcast. What disqualifies these mediums from publishing? As long and hard as I think of it, I can’t find a reason to exclude them. In this age of new media how can we exclude blogs, computer games and email? Each contains information and/or creative content, and each seeks to succeed by reaching out to a wider audience, to be made publicly or generally known. And so this Website, TheFutureofPublishing.com, casts a very wide net. As I write this evening, I’ve defined thirty different “industries” that I consider a part of the publishing spectrum. I examine eighteen of these industries, look briefly at their history, and then focus on the changes that are taking place that will impact their future. Many are intertwined, for example the paper industry and the newspaper industry, and I explore those interrelationships. But I’ve found that just focusing on the “publishing industries” is insufficient to illuminate the real future of publishing. Numerous outside influences impact publishing’s outcome. Developments in computer hardware have a profound effect on web publishing and our ability to read comfortably on computer monitors or tablets. The youth demographic is having a remarkable impact on how traditional print-based media is consumed. Various levels of government around the world are legislating improved access to media, and at the same time demanding that electronic media be made accessible to the disabled. And so I’ve defined some twenty “influences” that are having a significant impact on the future of publishing. In some cases the impact is subtle and long-term; in other cases profound and immediate. Between these industries and these influences I hope that a picture will emerge that will help you understand where publishing, in its broadest sense, is headed. I am not a seer. I don’t have all of the knowledge required to provide a definitive picture of the future. And so from the very beginning of this project I decided to include as many relevant primary sources as I possibly could. Of course it’s the beauty of the Internet that most of these sources are online and available to all of us. As you peruse this site you’ll find a plethora of sources referenced. Some are noted in the body of my essays. Many appear in a separate section at the end of my essays. I always explain why I think those sources are significant, although ultimately you must be the judge. The purpose is clear: don’t take my word for anything. If you’ve got the time please head over to these primary sources, digest them, and form your own opinion. A word about copyright: If a primary source is available freely online, I link to it. Many sources require purchases/subscriptions or your first-born child. That is their right. In these cases I offer a review of the source, always respecting “fair use,” and link to a URL with the limitations noted. Should any copyright holder feel that I’m in contravention of their rights, please notify me, and the situation will be rectified ASAP. As an author and publisher I do respect copyright. You will note also in the section on copyright that I decided to make this Website accessible via a Creative Commons license. This license lets others remix, tweak, and build upon this work non-commercially. While their new work must acknowledge this source and also be non-commercial, they don’t have to license their derivative works on the same terms. For more information visit the Creative Commons. I hope this provides a simple explanation to the approach I have taken on this Web site and towards exploring the future of publishing. I welcome your comments.